‘How do we find the place where we belong?’ asks Neil Grant in his newest YA novel, as he follows Rudra Solace from a beachside fishing village on the Australian coast to a sunken village in India. Rudra, a likeable, thoughtful teenager, faces constant reminders that he doesn’t fit – he is Australian, but to the racist surfers at the selfbeach, his skin colour is enough to suggest that he is not; he is Indian, but he knows little about his Indian heritage; he is a fisherman, according to his father, but that doesn’t feel right either. Caught in the pull between ocean and river, between his mother and his father, Rudra feels as if he’s drowning, until the arrival of his Indian grandmother and the discovery of a long-forgotten tiger skull come together to bring his life into sharp focus. Grant is adept at the coming-of-age journey narrative, and he clearly has deep empathy for his characters – not just Rudra. Grant also seems drawn to India and Indian culture, but I wonder how the novel would read to a teen with lived experience of the life and culture about which he writes so intimately. 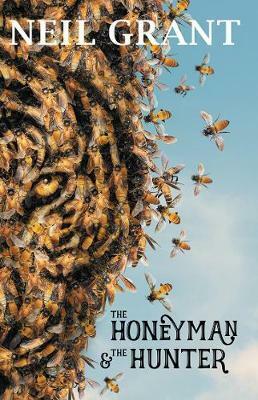 The Honeyman and the Hunter is a deeply moving and evocative journey, but it also reinforces the feeling of being an outsider looking in, and any reading would be enhanced by seeking other narratives.